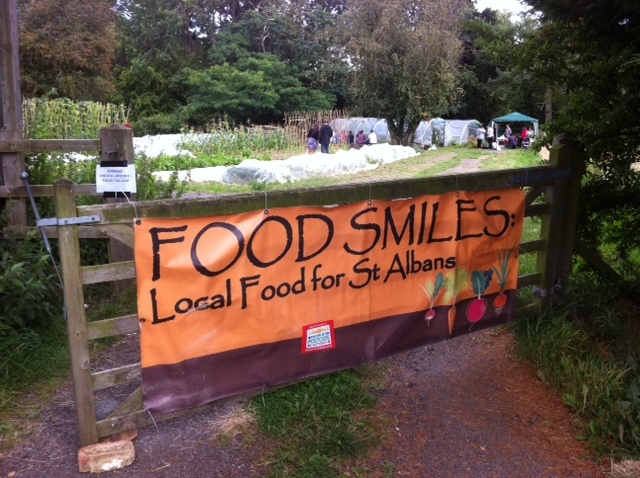 The sun shone at the FoodSmiles harvest festival at the weekend. There was much to celebrate at the end of their second growing season at the plot at Hammonds End Farm; the 30-strong team have had a very productive year growing outdoors and in polytunnels, with over 1200kg of organic produce shared between them. They grow an impressive variety of vegetables and salads, from potatoes to pak choi. 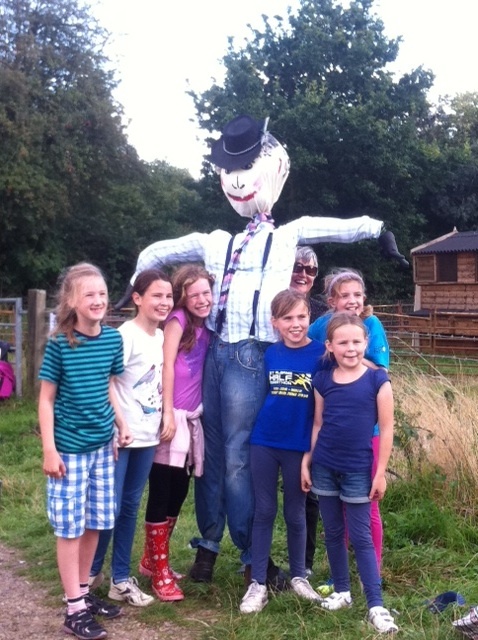 Member made food to share, children made a giant scarecrow and The Jumping Fleas ukulele group played under the trees while everyone picnicked and shared experiences of the year. Tom Carman, the group’s Chairman says: “FoodSmiles St Albans really value the support we have been given. It is enabling us to make the most of the land available to grow and distribute vegetables in all seasons. Over the long term, the more efficient we can be, the greater the number of people (whether members or the wider community) that will enjoy the health and community benefits that FoodSmiles brings”.